02 Dec 2018, Dibrugarh: The Vatican today announced Fr (Dr) Albert Hemrom as the Co-adjutor Bishop for the Catholic Diocese of Dibrugarh. Pope Francis made the announcement in Vatican at around 4.30 PM (IST), following which the incumbent Bishop Joseph Aind Sdb of the Diocese of Dibrugarh announced the name of the Bishop designate locally at Bishop’s House here. The 49 years old Bishop designate will be the youngest Bishop in the entire northeast. Currently, he is the Rector of St. Joseph’s Seminary, Dibrugarh. He also holds the post of Judicial Vicar of the Catholic Diocese. In the capacity of the Judicial Vicar, he is a member of the Governing Board of the Diocese. He is also the vocation promoter of the Diocese of Dibrugarh. The Bishop designate will serve as a Co-adjutor Bishop till the retirement of Bishop Joseph Aind in November 06, 2020 and thereafter takeover the administration and governance of the Diocese of Dibrugarh as its Bishop. He will be consecrated as the new Bishop on March 3, 2019 at the Bishop’s House. About twenty Bishops from the country including sixteen Bishops from the northeast and the local Catholics from the region are expected to take part in the consecration ceremony. Bishop designate Fr. Albert Hemrom was born on February 27, 1969 in a remote Konapathar village in Pengaree of Tinsukia district to Cyril Hemrom and Josephine Purty. He is the eldest son of the six children. He has 2 brothers and 3 sisters. He had his early schooling in Assamese Medium Primary School, Konapathar and later he continued his schooling in Don Bosco School Doom Dooma. He joined St. Joseph’s Minor Seminary, Dibrugarh and completed his matriculation in 1987 from Nongkseh High School, Upper Shillong. He completed his PU studies in the year 1989 from St. Anthony’s College, Shillong. At the tender age of fourteen, he opted for the vocation for priesthood and pursued his academic and ecclesiastical studies. He obtained degree in Philosophy and BA in 1993 from Christ King College, Shillong and Bachelor’s in Theology (B.Th) in 1999 from Oriens Theological College, Shillong. He was ordained a priest on April 25, 1999 at Philobari. His first appointment as Assistant Parish Priest was in Rajabari in Jorhat district. After three years of his priestly engagement, he was sent to St. Peter’s Pontifical Institute, Bangalore for studies in Canon Law. He obtained Masters Degree in Canon Law from the Institute in 2001. Thereafter he was appointed as the Dean of Studies in St. Joseph’s Minor Seminary, Dibrugarh. Meantime he was also serving as guest lecturer in Oriens Theological College, Shillong. In 2006, Fr. Albert was appointed as the Parish Priest of Rajabari Parish Church and the Principal of St. Francis of Assisi School, Rajabari in Jorhat district. In 2011 he was sent to Pontifical Lateran University in Rome to obtain Doctorate in Canon Law. 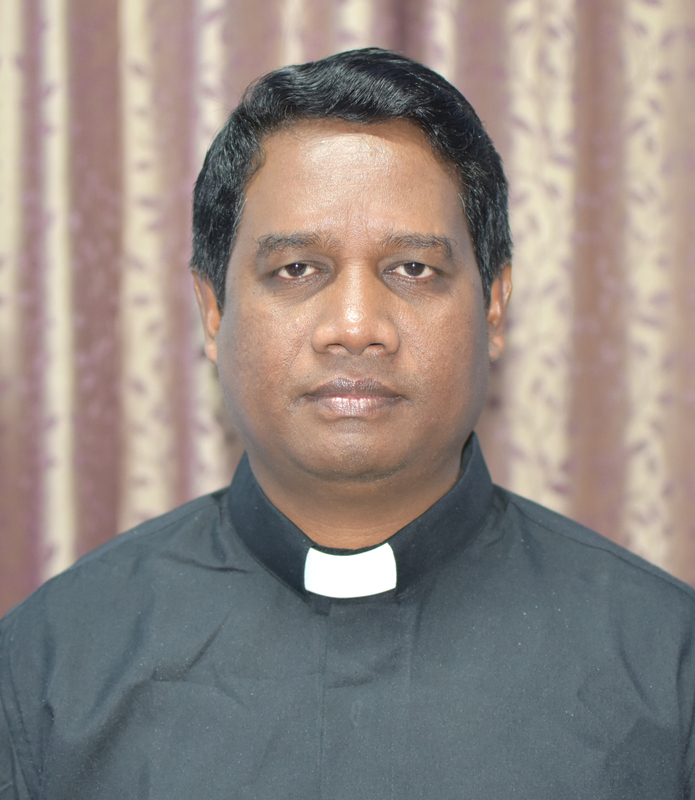 After securing his Ph.D in Canon Law in 2013, he was appointed as the Rector of St Joseph’s Minor Seminary, Dibrugarh. He is still serving as one of the guest lecturers in Oriens Theological College, Shillong. Bishop designate Fr. Albert Hemrom will be the sixth Bishop of Dibrugarh Diocese. The Catholic Diocese comprises of the civil districts of Tinsukia, Dibrugarh, Charaideo, Sivasagar, Jorhat, Majuli and Golaghat.